Summerbell Brown was sleeping in the back seat of a car in her family's driveway when a man behind the wheel of a white pickup truck opened fire on the vehicle, her family said. PHOENIX, Arizona -- A 10-year-old girl who was shot Wednesday night during an apparent road rage incident has died, according to Phoenix police. Summerbell Brown was sleeping in the back seat of a car in her family's driveway when a man behind the wheel of a white, four-door Ford pickup truck opened fire on their vehicle, her family told ABC15. Phoenix police said Dharquintium Brown, Summerbell's father, was driving down the street with his wife and two daughters in the car when the Ford started following them. When the family pulled in to the driveway of their home, a man in the truck fired shots at their car before taking off in an unknown direction. "He was ready to start shooting. I got out of my vehicle and I asked him 'What's going on? What's up?' because he stopped at my house and I asked him 'What's up?' He just got firing, and he shot my car, and he shot me right here, and he shot up my house and he killed my daughter," Dharquintium Brown said. "I looked at him dead in the face. He had this deranged look like he was high on something. His pupils were dilated. As soon as I looked at him in his eyes, he just, boom-boom-boom-boom through the car. He didn't even put the gun outside the window. He shot through his door," said Taniesha Brown, Summerbell's mother. Police said father and daughter were hit and transported to the hospital in extremely critical condition. Summerbell succumbed to her injuries, according to police. Her mother and her sister were not injured. "This is heartbreaking, and I'm going to miss her. I think about her every day. The memory is going to replay in my head every day. I can't sleep. I hope she's at peace. I just really hope she's at peace," Taniesha Brown said. The 10-year-old girl was a straight-A student who loved dancing and gymnastics. "She was just a baby. There was no reason for her to be taken like this," Taniesha Brown said. It is unclear at this time what caused the man in the pickup to start shooting, but police suspect road rage may be to blame. "It's possible that it could've begun on the roadway just by virtue of the fact that the car was following the other so closely before they arrived," Phoenix police Sgt. Vince Lewis said. 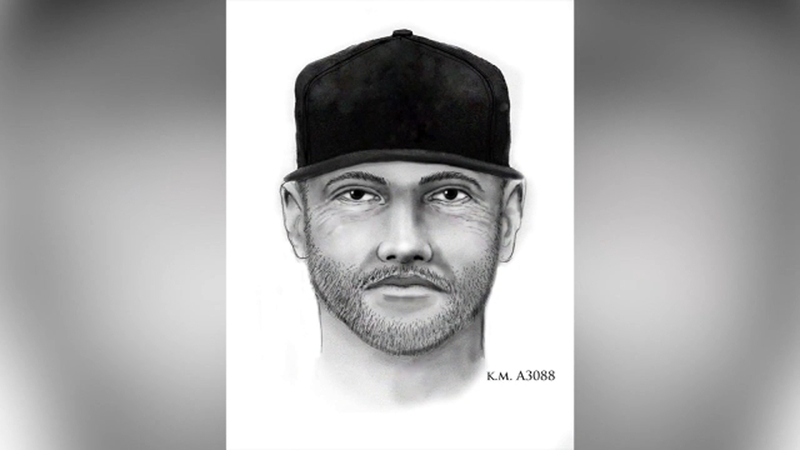 Investigators released a sketch of the suspect and a surveillance photo of the suspect in his pickup and surveillance video of the truck following the family home. Anyone with information about the deadly shooting should call 480-WITNESS. A $1,000 reward is being offered for information leading to the suspect's arrest. Phoenix officials say there's no indication of a spike in road rage cases, but police urge drivers to call them if tensions are escalating on the road so that officers can help. "Get to a safe location and if you can't, and you have the ability to make a phone call, go ahead and call Phoenix Police or call 911. Let them know that you're being followed by an aggressive driver," Lewis said.